Haryana Government has launched a mobile application named as ‘Shiksha Setu’ on 19th December 2018. The Shiksha Setu mobile app aims to help the students of the state. It will help in bringing transparency to the Education Department and in the administration of colleges in the state. Also, the connectivity between students, parents, teachers, and administration will be improved through this mobile application. 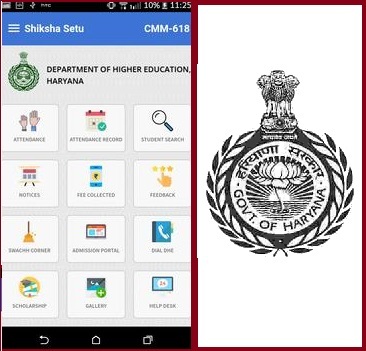 The Shikha Setu Mobile App will contain all the information related to attendance, fee, online admission and scholarships in all the Haryana government colleges. The details of lecturers of government colleges and officers of the Directorate can be accessed through the mobile app. The Shikha Setu Mobile App will provide the students with instant information about assignments and updates of important notices, circulars and other programmes. There will be a facility of online fee-payment through the mobile app. The college administration will be able to check details about total fee collected and pending fee payments.